Easily print vivid color documents, reports and letters for a great value. 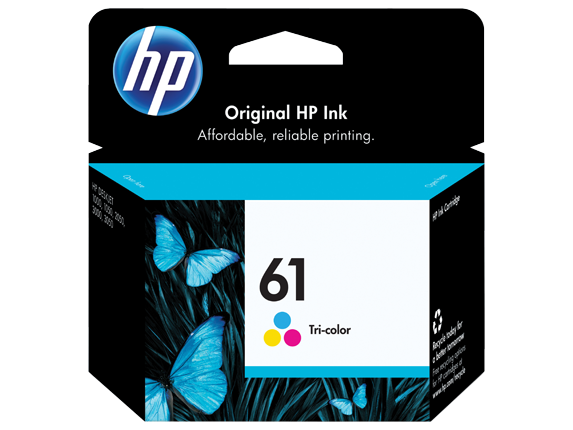 This Original HP ink cartridge is designed to deliver user-friendly features and consistent, reliable performance. HP 61 Tri-color Ink Cartridge.